Dottie Berger MacKinnon, formerly of Tampa, was a tireless advocate for women and has left her footprint throughout the Bay area. She was one of the founders of Joshua House, a safe haven for abused, abandoned, and neglected children, in Tampa and she passionately supported the children served there since 1992. After founding the institution she helped the group establish a $1.2 million endowment through the Community Foundation of Tampa Bay in order to ensure that they can continue the work that she started there long into the future. She also served the community as a Hillsborough County Commissioner from 1994-1998. 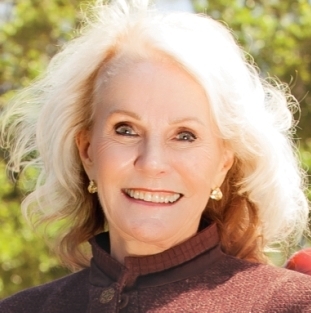 On May 4, 2011 Dottie was honored with the Ellsworth G. Simmons Good Government Award by the Hillsborough County Commissioners in recognition of the significant role that she played in improving government through leadership and vision. From 2005-2009 she worked tirelessly to develop, create and co-found A Kid’s Place, a residential care facility for foster siblings. Before A Kid’s Place opened in 2009, kids who were taken away from abusive homes were often separated from their siblings. Rescued children now stay temporarily in family-like homes while officials search for a stable and unified placement. The achievements of Dottie MacKinnon are truly remarkable. She has been recognized as a true difference maker in the lives of the children of Tampa Bay. Although challenged with cancer many times throughout her lifetime she never faltered as a champion for foster children and she battled unrelentingly in her quest to improve their quality of life. She lost her battle with cancer in October 2013 but her legacy will live on.